2060 W. Spring Creek Pkwy. This 1 acre outparcel is shadow anchored by Walgreens Pharmacy and Custer Creek Shopping Center. 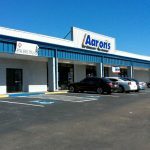 Owner can sell or lease the pad, and has the ability to perform a build-to-suit for up to 8,100 SF for one or multiple tenants. Major road improvements to Spring Creek Parkway and Custer Road were recently completed to provide a “normal” four-way intersection, greatly increasing the access and visibility to the heavy traffic on both roadways.